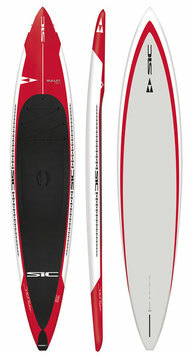 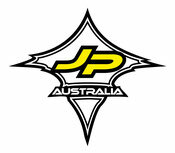 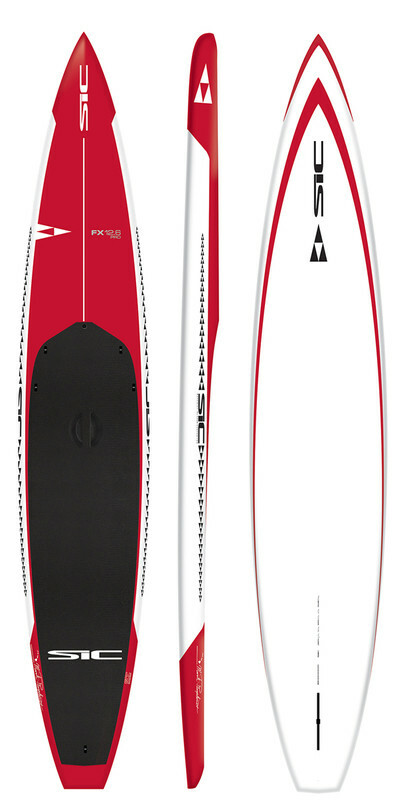 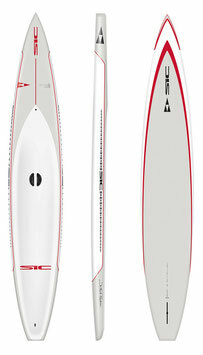 SUP Race Boards 12'6'' - Jimmy Lewis, Bark, Naish, Starboard. 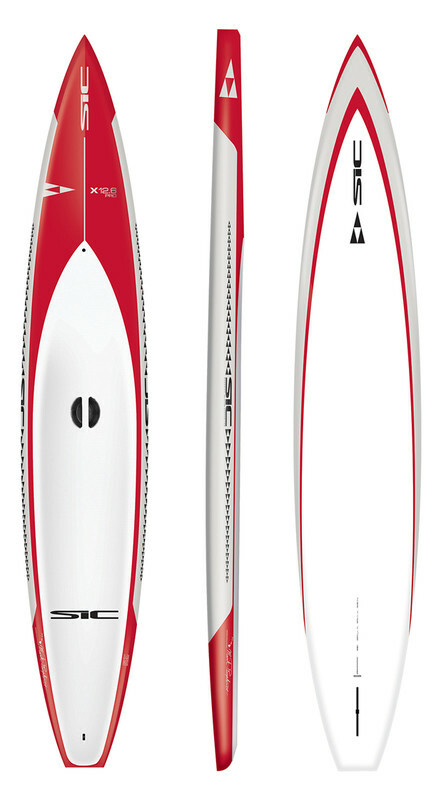 Glass Composite (GC) construction with wood reinforced deck for the best strength to weight and flex characteristics. 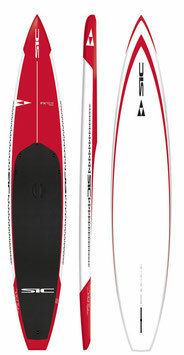 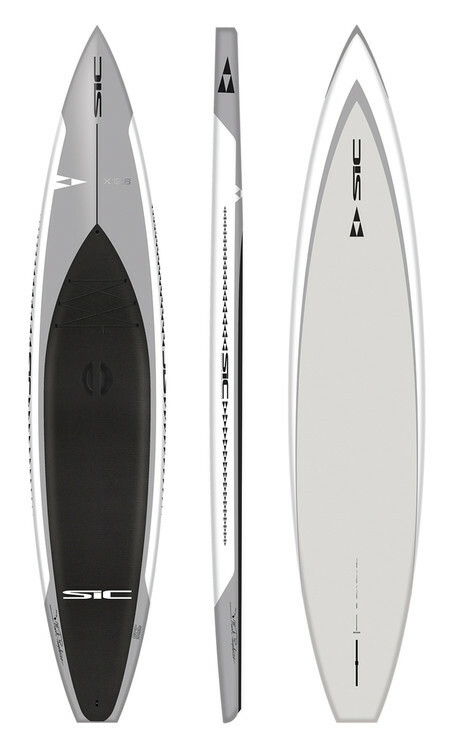 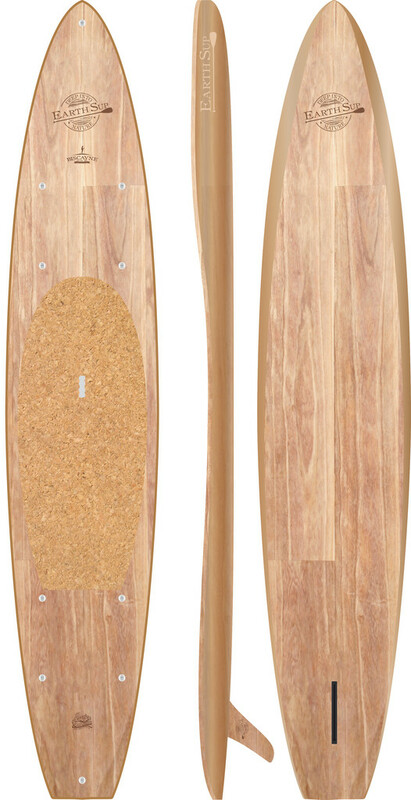 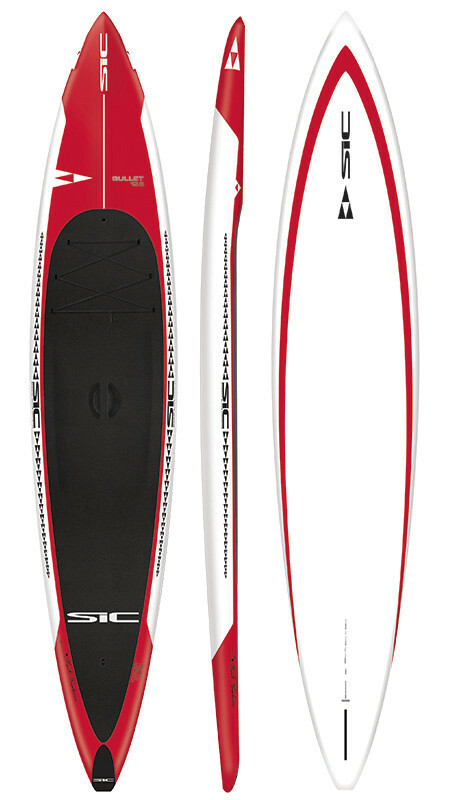 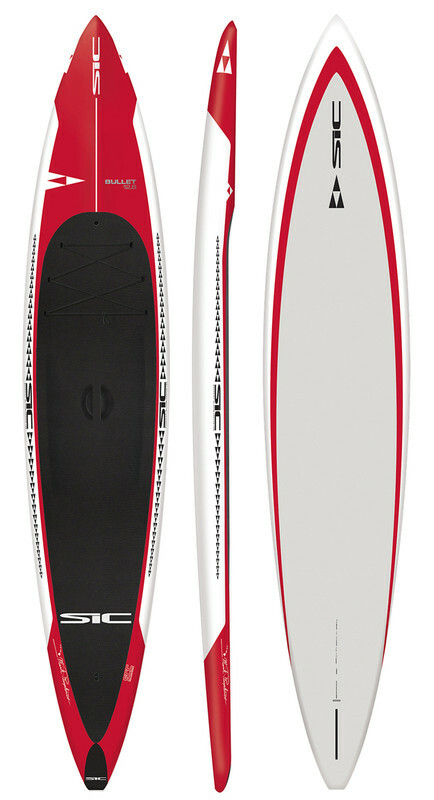 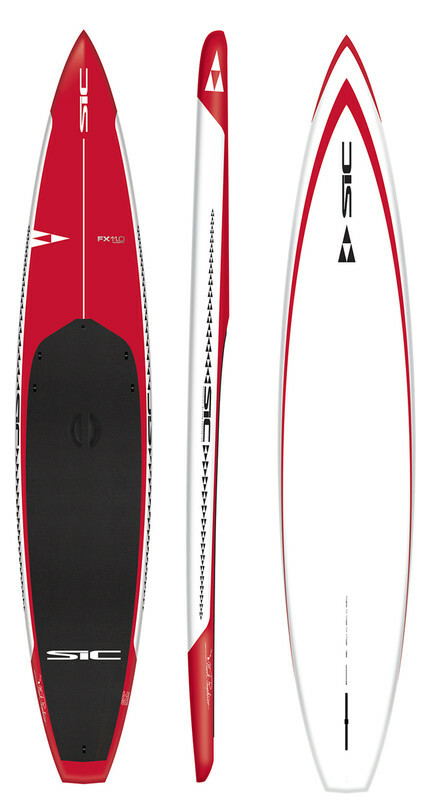 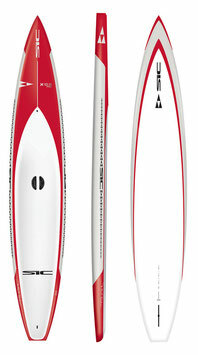 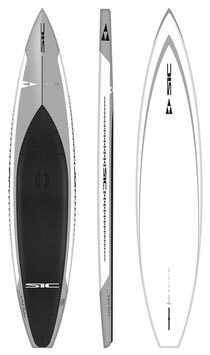 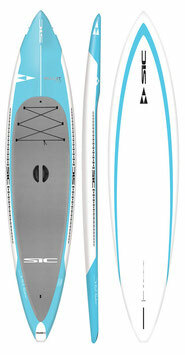 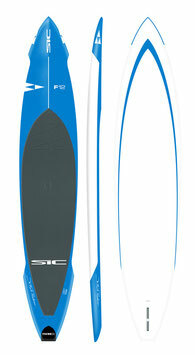 SUP Earth "Biscayne 12'6 x 29"
The New Stiletto 12'6 follows the new trends, more adaptability' to the new format race like elite race and sprint race. 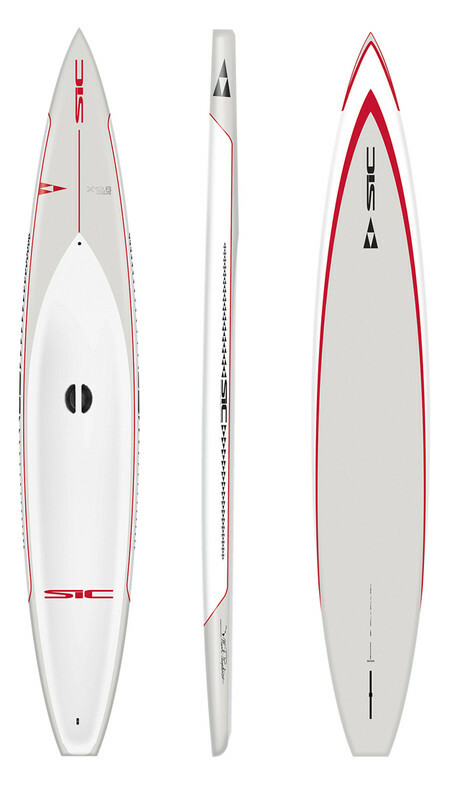 The front part of the Stilletto confirms the inclination of Jimmy Lewis to interpret prows very streamers from the center towards the stern while the new Stiletto 12'6 narrows considerably its shape to end with a tail much more reduced compared to the Blade II. More easy manouvres at the buoy and choppy water. 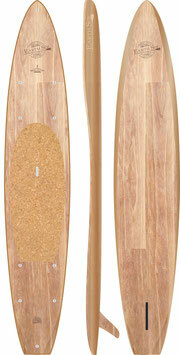 Jimmy Lewis introduced two discharges on the board, to facilitate the release of water from the deck. 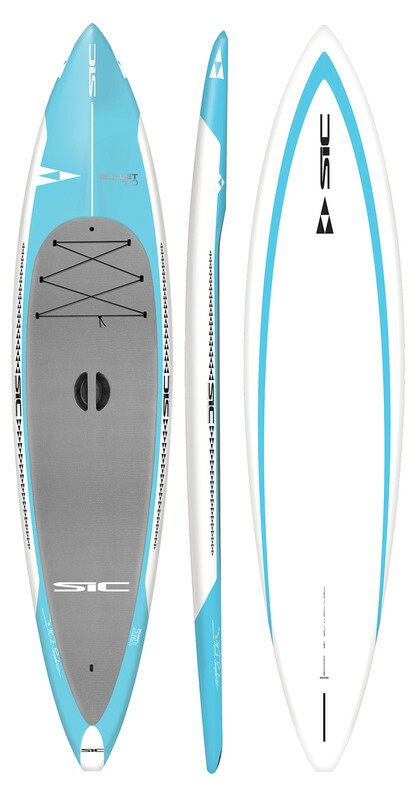 Finally the volume of the new race Stiletto 12'6 of 237 liters, much lower than the Blade II precisely to facilitate the propulsion and the maneuverability thanks to the equation, less surface less friction.